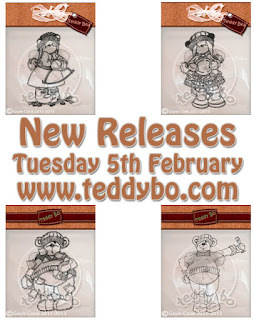 the anagram.You could win yourself an AMAZING £20 to spend on graphic's in the TeddyBo shop. Firstly you have to become a follower then leave us a comment on the TeddyBo blog telling us the mystery phrase,don't worry if your post doesn't show as we are keeping your answers secret.You have until midnight Sunday 13th January to enter, good luck everyone. You should of arrived here from Debbie's blog, if not you can always check back HERE on the TeddyBo blog for the full list. You now need to hop along to Trudie's BLOG to pick up your final letter. I hope you have enjoy our little hop, it would be lovely if you left a comment or two along the way. 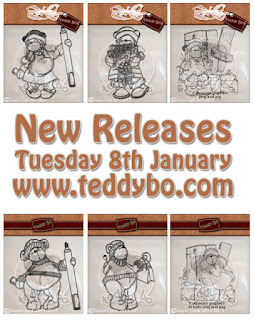 Its TeddyBo Tuesday, no new releases until the New Year now but there is a fabulous sale on 35% off until the 24th January, how good is that?? 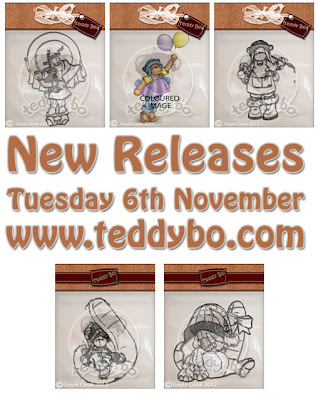 Just over £1 to get your hands on so so many fabby TeddyBo images. This little cutie is Teddy Bea 'Your Wish Will come True' made in 2011 for a Christmas card, but she can be used for so many different occasions. We are sharing some of our older images and cards with you on the lead up to Christmas. We still have our challenge running 'Anything Goes' don't forget to join in. Good morning I hope you are all OK and that you have been fortunate enough to avoid the awful weather. 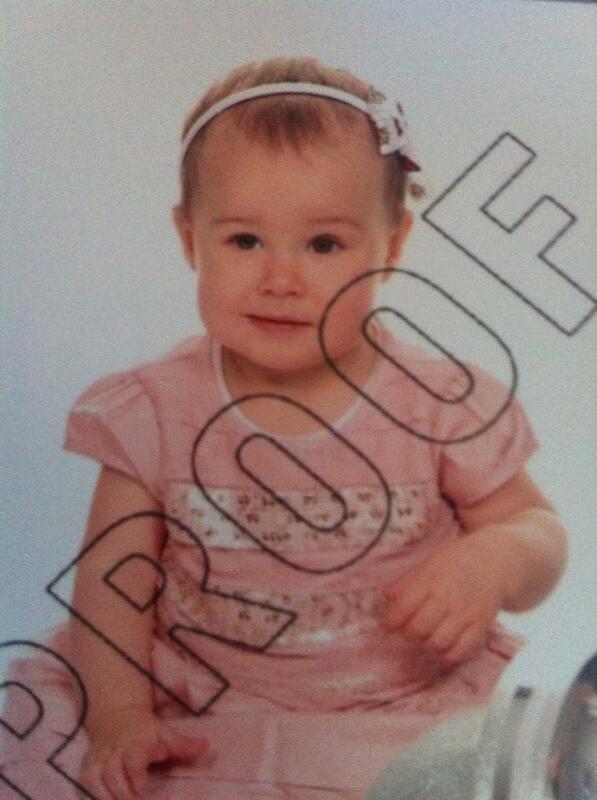 Its Fairytale Friday at TeddyBo Towers so don't forget to check out what the girls have been up to this week! I have been having a play with some more pre coloured images and used Super Bo, isn't he cool? Done forget you have until Sunday to join in with our 'Anything Goes' Challenge. Where are the weeks going? I don't seem to have enough hours in the day lately.. busy, busy. This card was made very last minute, this is where the Precoloured images come in very handy. 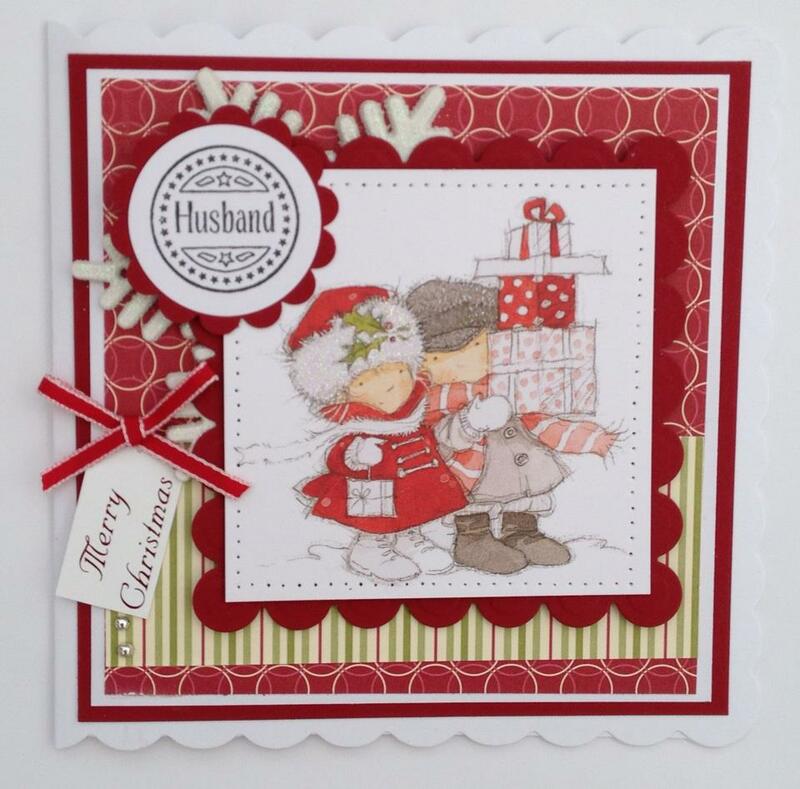 This is a card I have made for my card box in work, always need a few baby cards in there and this one is so sweet, fell in love with it when i saw it isn't it sweet? 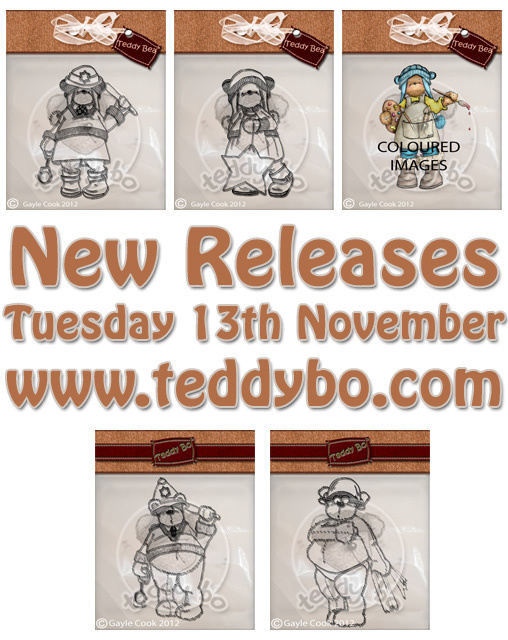 The Anything Goes Challenge is still running on TeddyBo Blog you never know you could be the lucky winner of 5 lovely digi's. 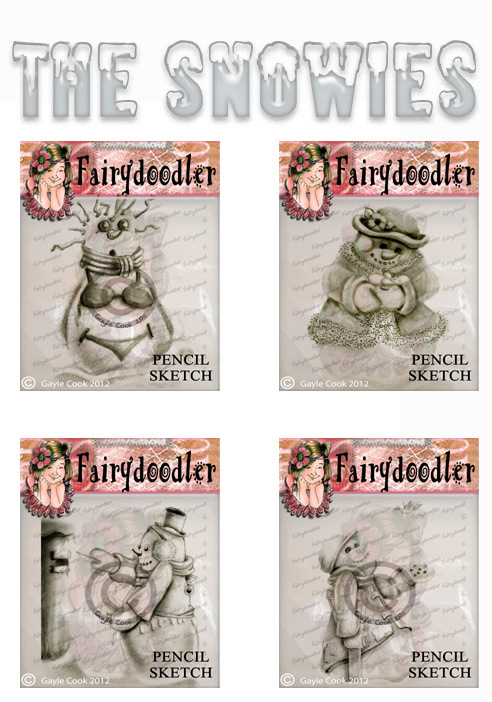 I am very late entering this into the 'Sketch Saturday Challenge' but just had to share it with you as I love these 'Snowies' from Fairy Doodler store, there are 5 different Snowies altogether, Gayle is certainly spoiling us this Christmas.